Matt Raines is an Associate Relationship Manager in Balentine’s Raleigh office. 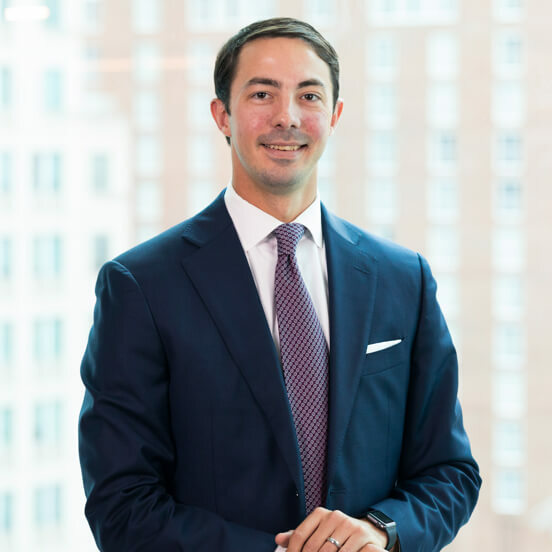 Prior to joining Balentine, Matt spent more than six years at CAPTRUST Financial Advisors, most recently as senior client management consultant. In this role, he provided support to institutional clients, including corporate pensions, endowments, and foundations. An active member of the community, Matt is a trustee of the North Carolina Humanities Council and a member of the Cameron School of Business Economic and Finance Advisory Council. Matt is an alumnus of the University of North Carolina at Wilmington, where he majored in finance and economics. I was immediately drawn to the team-based approach and the culture that it produces. Balentine is a place where the person beside you wants to see you succeed and grow in your career as much as you do. I’m inspired by my colleagues who, with their varied backgrounds and unique skill sets, come together in a team-based manner for the greater good of serving our clients and helping them meet their goals. My wife and I traveled to Bali, Indonesia, for our honeymoon in 2017. I would, in some way, shape, or form, be involved in the golf industry. I love the game and the opportunity to spend time outside enjoying the scenery that so many of the great courses offer. If you were abandoned on a deserted island, what would you bring? My wife, Lindsey, and our labradoodle puppy, Sooie. Together, the three of us could survive anything that comes our way!